Anniversaries offer an excellent opportunity for brands to both celebrate their histories and introduce new commemorative pieces in honor of a pertinent milestone. Following are a few such 2016 occasions that were noted at SIHH this year. Founded in 1906 in Hamburg, Germany, Montblanc is celebrating its 110th anniversary with a variety of limited edition timepieces, each inspired by ocean travel. The beginning of the 20th century—concurrent with the birth of Montblanc—was a rich era for innovation, with transportation across the Atlantic driving international commerce and cultural relations. Not surprisingly, the cities with the largest ports experienced the most vigorous development, becoming hubs for trade and cultural exchange. Hamburg was among these hubs, and as Germany’s largest port it was soon thriving with international trade. 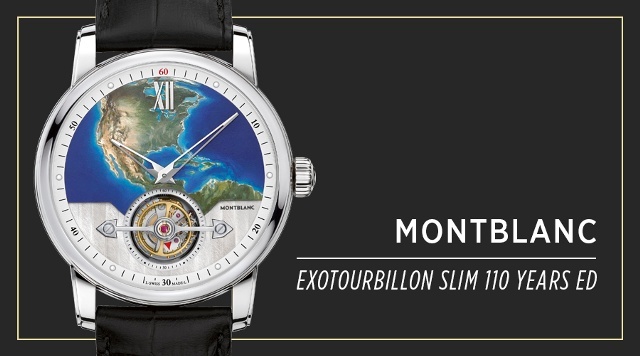 In its 4810 collection, Montblanc is commemorating this important era by introducing three commemorative limited editions: the ExoTourbillon Slim 110 Years Edition, the TwinFly Chronograph 110 Years Edition and the Orbis Terrarum Pocket Watch 110 Years Edition. Shown here is the ExoTourbillon Slim 110 Years Edition, America. 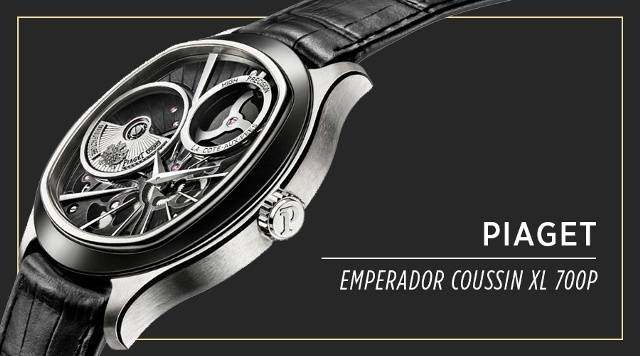 Honoring the 40th anniversary of its first in-house quartz movement, the ultra-thin 7P caliber presented in 1976, Piaget is unveiling the Emperador Coussin XL 700P in a limited edition of 188 pieces. Interestingly, this 46.5mm cushion-shaped white gold timepiece is powered by the first Piaget hybrid movement, a self-winding Piaget 700P caliber with a quartz generator. A bit of history: during the quartz revolution Piaget demonstrated its its flair for innovation by creating the ultra-thin 7P. Since then, the company has regularly enriched its range of high-performance quartz movements to power many of its ladiesâ€™ and jewelry watch models. 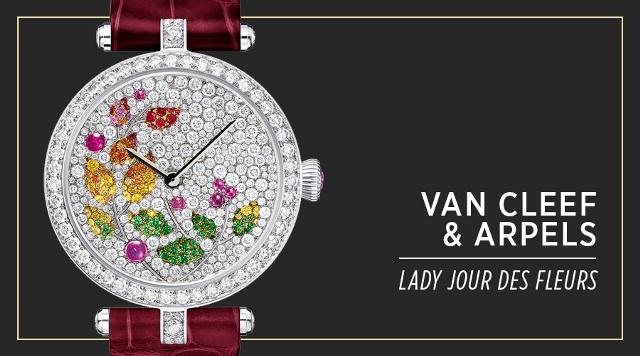 In 2006, Van Cleef & Arpels shared its centenary with an innovative watch collection, the Poetic Complications. 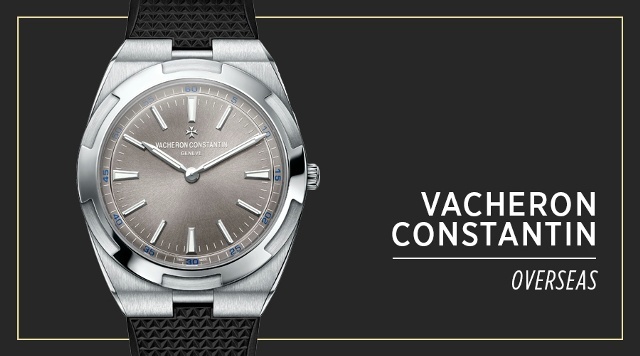 Now in its tenth year, the collection has grown to include a variety of pieces, each with a magical, dream-like décor and a mechanical movement. This year brings two new pieces: Lady Jour des Fleurs and Lady Nuit des Papillons. These white gold watches, numbered editions, feature gem-set dials and manual-winding movements. 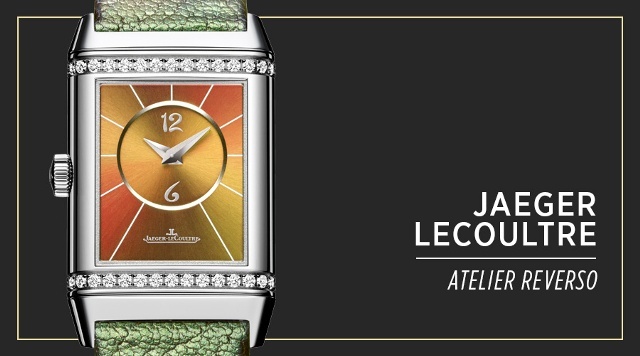 Jaeger Le Coultre is commemorating 85 years of the famed Reverso watch with new styles, sizes and inspiration. To further mark the occasion, famed shoe designer Christian Louboutin lends his genius to the line with new and edgy profiles. Shown here is an example of a Louboutin-inspired Atelier Reverso dial-strap combination with all the flair that one would expect. Founded in Fleurier, Switzerland, in 1996, Parmigiani marks its 20th anniversary this year. 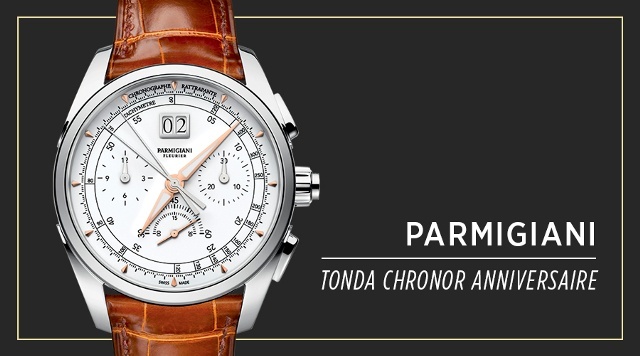 In celebration, the brand is introducing the Parmigiani Tonda Chronor Anniversaire featuring the brand’s first integrated chronograph movement. It is a dream realized, according to founder Michel Parmigiani: Since the very start of our watchmaking adventure, the idea of creating an integrated chronograph has always been close to my heart. He says this creation is a reflection of the brand’s development as a manufacture. To successfully create an integrated chronograph, one must first master its imposing, meticulous assembly of constituent parts—not just their manufacture, but also their operation and function at the heart of a caliber, he explains.